Iranica Antiqua is one of the leading scholarly journals covering studies on the civilization of pre-Islamic Iran in its broadest sense. This annual publication contains preliminary excavation reports, contributions on archaeological problems, studies on different aspects of history, institutions, religion, epigraphy, numismatics and history of art of ancient Iran, as well as on cultural exchanges and relations between Iran and its neighbours. 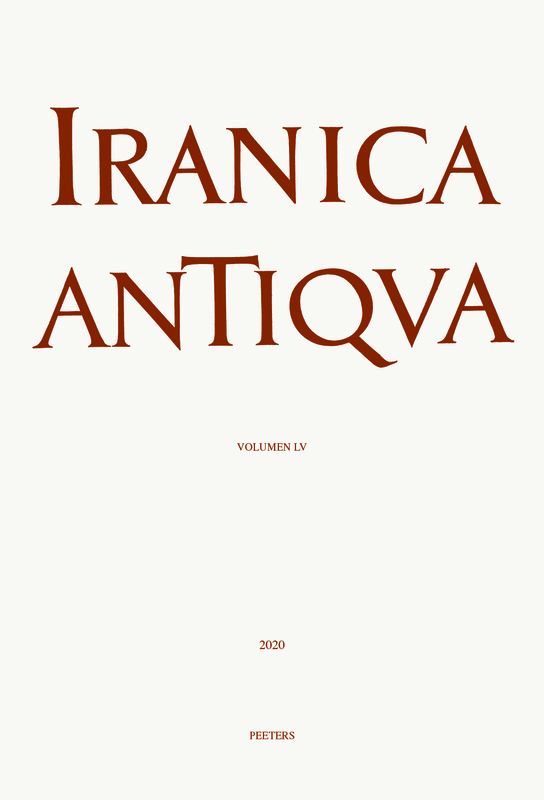 Iranica Antiqua is abstracted and indexed in the Arts & Humanities Citation Index and Current Contents/Arts & Humanities; Bibliographie linguistique / Linguistic Bibliography; International Bibliography of Periodical Literature on the Humanities and Social Sciences / IBZ online; L'Année Philologique; Index Islamicus; Scopus; INIST/CNRS; ERIH PLUS (European Reference Index for the Humanities and Social Sciences); CrossRef; Thomson Scientific Links. Iranica Antiqua is a peer-reviewed journal. Iranica Antiqua publishes a Supplement series of books. The aim of this series is to provide an opportunity for publication of more substantial works of monograph length and collective works on particular themes.